Ear infections are one of the most common problems vets see in their offices. Yep, we’ve been down that road several times with Haley. It begins with the ear scratching, then the frequent flapping noise when she shakes her head, and of course, there’s the yucky smell emanating from her ears. 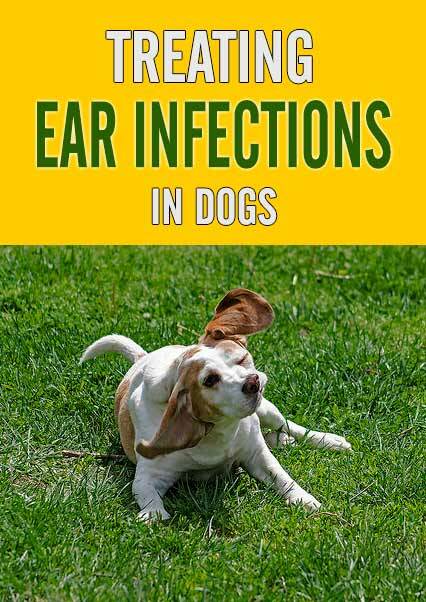 So many dogs suffer with these symptoms, but what causes ear infections in dogs? Most infections are caused by an overgrowth of bacteria or yeast inside the ear canal. 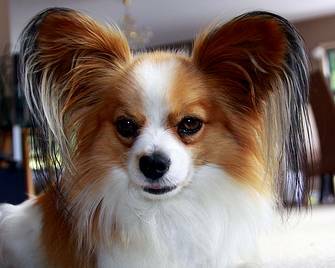 Dogs with floppy ears or excess hair in their ears are especially prone to infections because their ears tend to be dark and moist with very little air flow. Ear mites or foreign objects (like foxtails or grass seeds) inside the ear can also cause an infection. Dogs with allergies or hypothyroidism often have chronic ear infections. Your pup will usually let you know if there’s an issue with their ears. They’ll frequently scratch their ears and you may notice an unusual odor or their ears might feel warm to the touch. Head shaking or a tilted head are other signs that you should take a closer look. Healthy ears look fairly clean inside, but a yellow, brown or bloody discharge or redness and swelling inside the ears or on the ear flaps signal a problem. Dogs with an advanced infection may have crusts or scabs inside their ears from scratching and the outer ear might be thickened or have a leathery appearance. They may even walk in circles, have balance issues or experience some hearing loss. There’s no shortage of over-the-counter products and natural remedies for treating ear infections in dogs, but you should always begin with a visit to your vet. It’s important to start with an accurate diagnosis of the cause of the infection before attempting to treat it. Your vet will use an otoscope to examine the ear and then perform a swab test to determine whether the underlying problem is related to bacteria, yeast, parasites or another issue. Medication and treatment options can then target the specific cause of infection. It’s also important to note that chronic ear infections are often a symptom of a larger or systemic issue, such as allergies or hypothyroidism, which may require a change in your dog’s diet or environment. Haley suffered with ear infections for many years until we figured out a few things. After our first vet misdiagnosed her infections as ear mites a few times, we sought out a new vet who determined she actually had a yeast infection. That explained the brown, waxy debris I was cleaning out of her ears and why I never saw the telltale signs of ear mites, which resemble coffee grounds. Regularly cleaning her ears using cotton balls and a 50/50 solution of water and vinegar along with eliminating grains and excess sugar from her diet keeps her ears pretty healthy. On the few occasions when she’s required treatment from our vet, we’ve had great luck with BNT Otic. BNT is a thick, waxy medication that contains an antibiotic (enrofloxacin), an antifungal (ketoconazole), and an anti-inflammatory (triamcinolone). It’s infused into the ear and continuously treats the infection for two weeks. Since an ounce of prevention is worth a pound of cure, here are some tips that might prevent a painful infection and save you some time and money at the vet’s office. 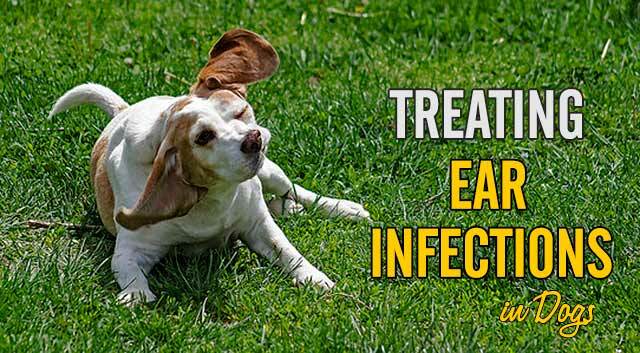 Do a quick check of your dog’s ears each week to look for signs of infection. You can often prevent a full-blown infection if you catch it early. Unless your vet recommends regular flushing of your dog’s ears, leave them alone if they look clean and healthy. Place a cotton ball in each of your dog’s ears before giving them a bath to avoid getting excess water in their ear canals. Dry your pup’s ears thoroughly after baths or swimming. If your dog swims often, ask your vet to recommend a drying agent solution to use after swimming. If your dog has excess hair in their ears, have a groomer show you how to remove or trim the excess hair for better air circulation. If your dog’s ears are dirty, use a cotton ball moistened with an ear cleaning solution, such as Epi-Otic to gently wipe away dirt or wax from the outer ear. Even though a dog’s L-shaped ear canal makes it unlikely that you’ll damage an ear drum while using cotton swabs, they should be avoided because they tend to push debris further down inside the ear. If your dog suffers from chronic ear infections, talk to your vet or a holistic vet about environmental and dietary changes that might be beneficial. I don’t know of any studies on this, but many dog owners claim to have eliminated allergy and ear infection issues after switching their dogs to a raw diet. Ear infections are one of the most common aliments treated by vets and recurring infections can be frustrating for dogs and owners alike. 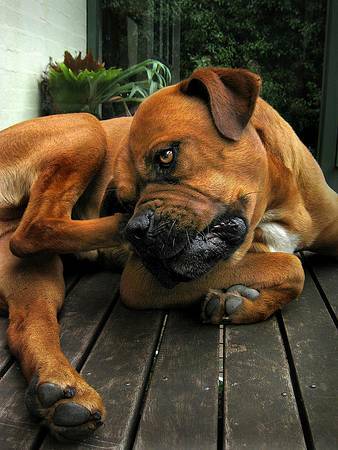 It’s normal for dogs to occasionally scratch their ears, but if you’re noticing frequent scratching or any of the other symptoms mentioned earlier, it’s best to make an appointment with your vet. Infections can be painful and if left untreated, they can cause permanent damage or hearing loss. If you have any experience with this, I’d love to hear your best treatments or strategies for dealing with ear infections in dogs. Shermie has also had incredible luck with BNTs over the years. Its so nice not to have to clean for awhile too while that medicine takes effect. Sherm doesn’t itch at all after he’s had it. For maintenance I use a Ketaconazole based ear medication that I use to clean his ears every two weeks. It seems to do the trick but he’s always had yeasty ears so I’ve had to manage that most of his life. Thanks for the tip about Ketaconazole, Christine. I haven’t heard of that, so I’ll check it out. I agree about BNT, it’s nice that you don’t have to remember to put in drops or medicine every day. I’m glad you’ve got a good system for Shermie. ?? Excellent informative post. I often get debris in my ears (maybe because they are wide open). It is difficult for me because then they become itchy and I hate to get them cleaned. I have a solution from the doctor but it seems my lot in life to hvae trouble with my ears. I never thought about that, Piranha. With those upright ears, you probably don’t get infections very often but they probably do collect a little dirt. I went through years of chronic, painful ear infections, nothing worked to stop them. Finally I found our homemade ear wash and that worked right away. Everyone has their own way to resolve ear issues and it is mine. I’ve been infection free almost longer than I had infections now and it is so very nice! For me it had nothing to do with diet, just the way my ears are inside and out. Healthy inner ears are important on so many levels. Glad your ears are good now too. I remember reading about that purple wash. I’m so glad it works great for you, Emma! ? Luckily haven’t had any issues with Kilo (fingers crossed). I can’t imagine how painful it must be. Great info thanks for sharing! Aw, Kilo is so lucky! ? For some pups, it’s such a chronic problem that makes them pretty miserable. I just went through this with my cat, Popoki. She had terrible discharge, head tilting and head shaking. We used Epi-Otic and an antibiotic for about 2 weeks, and she’s been good since then. Man, am I glad. I’ve had ear infections myself, and they HURT! I’m so glad Popoki is feeling better and the antibiotic and Epi-Otic worked their magic. Our poor pets can’t always tell us just how much it hurts. I hate those darn ear infections! Ouchie. Glad the cleaner works well. I’m not sure what you eat, but a raw or home cooked diet without grains, carbs, peas, potatoes etc. might really help. Good luck. Thanks, Tonya! Yes, I think diet is a big part of it. Haley eats mostly home-cooked food and I do think it makes a big difference in how she feels. Thanks for stopping by today! ? We are fortunate not to have had many issues with ear infections. Great information and I will definitely save this post just in case. Yay for healthy ears! ?? ? Great post, we love bnt at our clinic. I’m glad to hear you’ve had good results with BNT. Anytime I research medications on the internet, there’s always someone who’s had a bad experience, so it’s nice to hear an opinion from vets and vet techs. Thanks for sharing, JoAnn! Very useful post, luckily I haven’t had any issues with my labrador so far, but it’s good to know this info just in case. 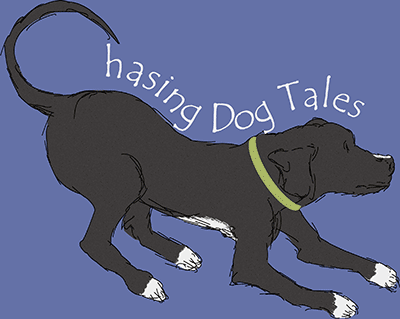 Thanks for checking out the post and it’s good hear your lab’s healthy and happy! ? Your second tip about preventing ear infections is really important. I think a lot of people assume that cleaning your dogs ears should be part of their normal grooming routine or something that needs to be done once a week etc, rather than just inspecting them to make sure they look/smell OK. I’ve been very lucky with Laika & her ears – no problems whatsoever even with all the lake swimming we do. Maybe those upright ears have an advantage, or it’s just luck. My poor Lab mix we had growing up seemed to get ear infections once a year during the summer when we’d go swimming all the time. I’ve always loved Laika’s upright ears. They give her such cute expressions and I’m glad they stay healthy and clean. When Haley was younger, I did clean her ears once a week because I thought it helped. Who knows, I could have been adding to her problems by not leaving them alone when they were clean. ? Had Nutriscan test on all my dogs, female golden gets no carbs or chicken. If she gets a bit her ears turn red, not infected just itchy so I’m very careful with her, the boys are fine. I haven’t heard of Nutriscan before but I just checked it out and watched their videos. I think I might have this test done for Haley to see if there’s a food that might be aggravating her allergies. I’m so glad you mentioned this, Lynn. Thank you! My dog has an incredibly dry nose.. Is that because of Apiquel? It’s like her nose is dirty.. But it isn’t. My Lilly its a three year old pit. I’m terribly worried. I can’t afford another visit to the vet. Please let me know! Thanks! My vet dosed my dog with BNT and now he is totally deaf. She never asked me if she could or told me about the side effects. I’m devastated. On the internet there are thousands of dog parents complaining about the same thing (post BNT deafness) and when I went to the follow up visit I asked her when he would start hearing again and she said, “yes, that’s some times a side effect in some dogs”. Total deafness. I was floored. Whatever happened to FIRST DO NO HARM? GUESS IT DOESN’T APPLY TO PETS. MONSTROUS. I went into the vet to treat a very obvious ear infection. They put a Claro Otic Solution in her ear then prescribed us Apoquel. I would greatly appreciate a second opinion before spending hundreds more dollars at a new vet!!!??? Over the past couple of years, my Boston Terrier has had 3 ear infections and now we are on the 4th. I follow the directoins and don’t bathe him for at least two weeks after they treat him. they put an antibiotic in his ears and then send us home with an oral antibiotic. If anyone gets near his ears, he will bite so us doing that at home isn’t really an option. Could Apoquel be causing these infections? we put him on it about 2 years ago for his constant itching and it works miracles for that. Any suggestions?